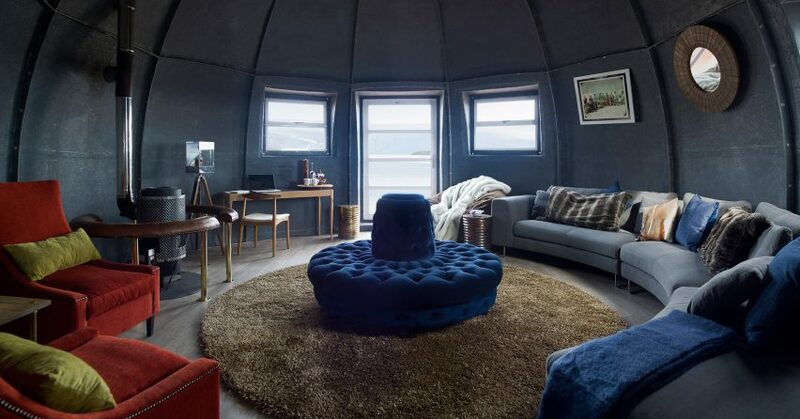 This remote “glamping” site in Antarctica features a series of igloo-like enclosures fitted with upscale decor like fur-covered chairs and bamboo headboards. 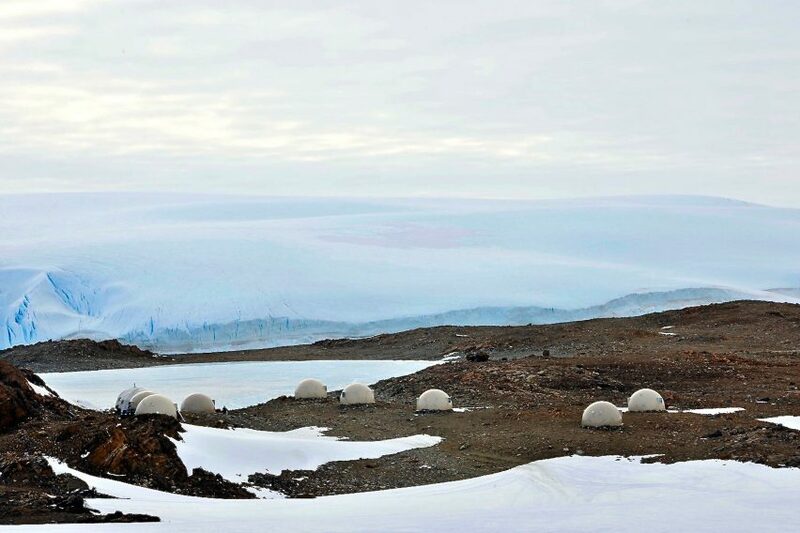 White Desert – billed as the “only luxury camp in the interior of Antarctica” – consists of heated, spherical pods made of fibreglass. Six are designated for sleeping, with each designed to accommodate two guests. Additional pods house a kitchen, a dining room, a lounge and a library. 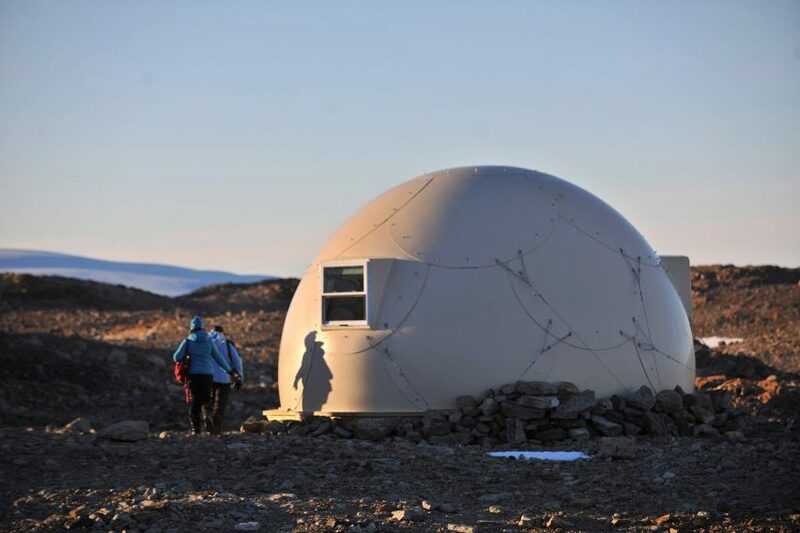 The domed shelters rest atop wooden platforms and are secured to the ground with metal cables. 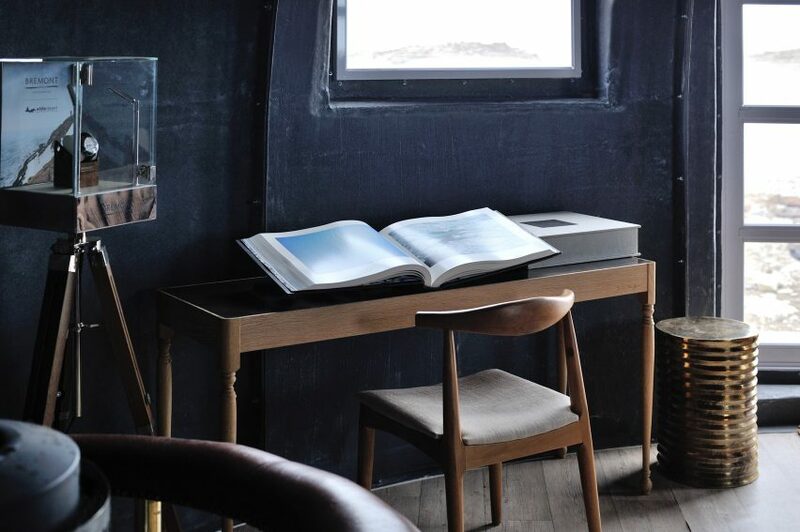 “Each suite stands alone on a rugged strip of land in the interior of Antarctica, midway between a frozen lake and towering walls of ice,” states White Desert on its website. 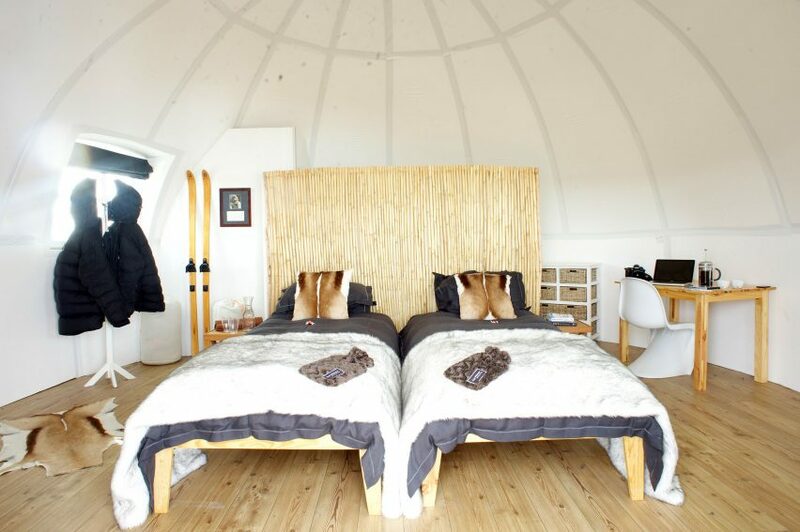 The site is part of a growing interest in “glamping” – or glamourous camping – which enables people to stay outdoors without foregoing basic amenities like bathing and kitchen facilities. Similar projects include a camp in South Korea that offers sculptural shelters with an engineered fabric membrane and the recently unveiled Autonomous Tent, which is a fabric enclosure with a wooden porch. The 10-year-old White Desert camp, which was recently refurbished, was started by Patrick and Robyn Woodhead, a husband-and-wife team. 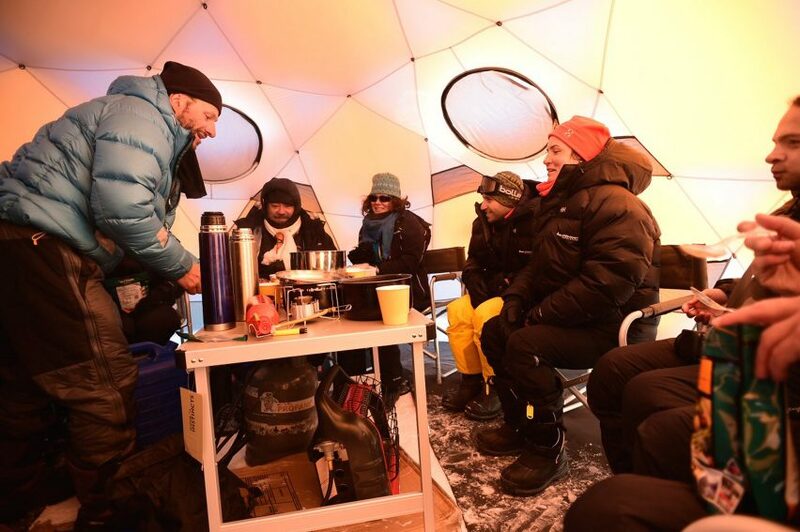 The Antarctic adventurers wanted to provide a “new kind of camp – one that would be comfortable and heated, more akin to the old-world luxury of the early Victorian explorers,” according to the website. The domed enclosures were designed by the Woodheads and their construction manager, who later went on to start a company called Ideal Pods. The interior design was a collaboration between the Woodheads and Sam Hendrick, a Cape Town designer. The sleeping pods feature beds with bamboo headboards, white Eero Saarinen-style chairs, and wood flooring. Complimentary parkas hang from free-standing coat racks. The headboard serves as a partition, separating the bedroom from the en-suite bathroom, where guests will find a composting toilet and upscale toiletries from the Lost Explorer brand, which was started by British adventurer and ecologist David de Rothschild. The partition is sheathed in leather-effect wallpaper. Small windows illuminate the compact space. The lounge pod is fitted with a curved couch, plush red arm chairs and a round banquette sofa upholstered with tufted velvet. A glass door and two small windows bring natural light into the space. In the dining area, a circular oak table is surrounded by chairs wrapped with fur pelts. The team used a restrained colour palette of tan and grey for the room, where guests gather to eat meals prepared by a professional chef. As a zero-impact campsite, all waste generated at the property is transported back to Cape Town. The hotel has 11 staff members, including seasoned high-mountain guides, who cater to guests’ specific needs and desires. “We are very used to tailoring each trip to the individual and designing an itinerary that exactly suits our guests,” the owners said. Activities include climbing, skiing, flying to the South Pole, visiting a penguin colony and trekking through ice tunnels. 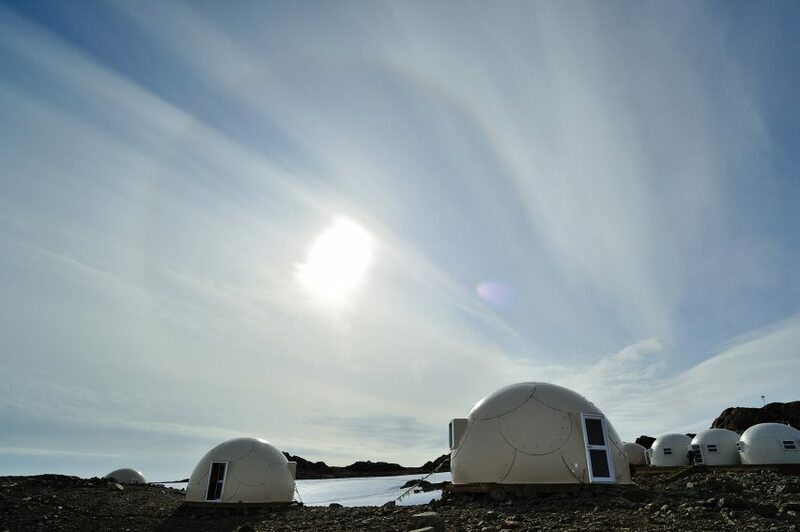 The camp is located at 71 degrees latitude, where summer temperatures can reach -5 Celsius, “which most clients find very easy to deal with,” the owners said. The property is open in November and December. An eight or 11-day stay costs $72,000 (£54,900), which includes roundtrip airfare from Cape Town. Past guests include Prince Harry and the Saudi royal family. Photography is courtesy of White Desert. 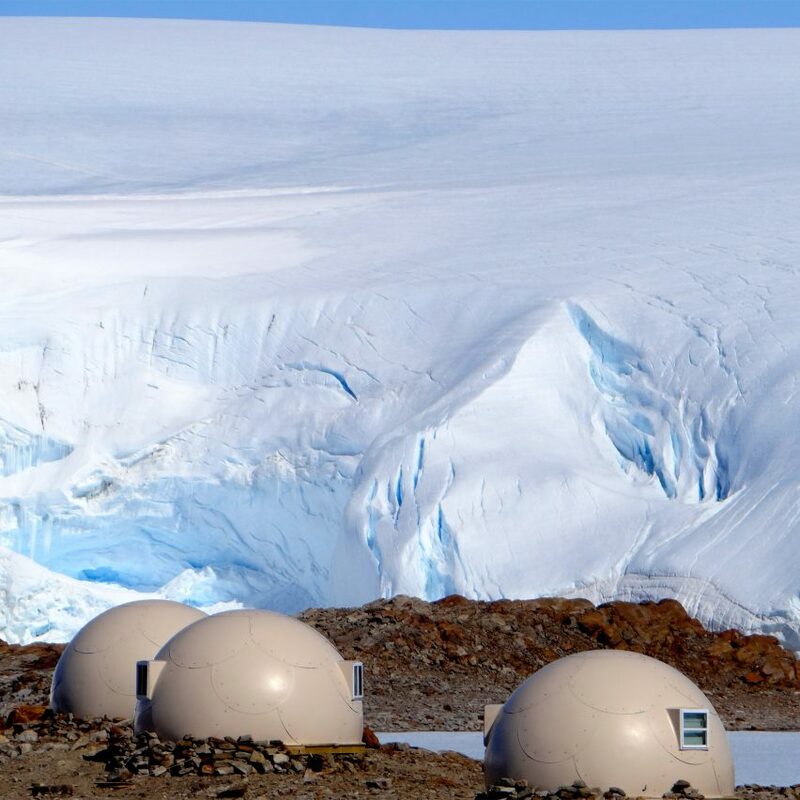 Be the first to comment on "Luxury campsite in Antarctica offers tiny domed pods for sleeping and dining"